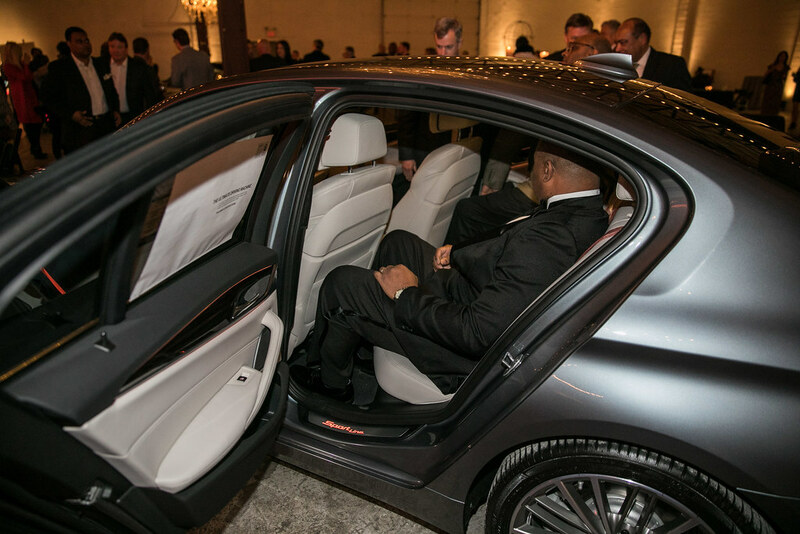 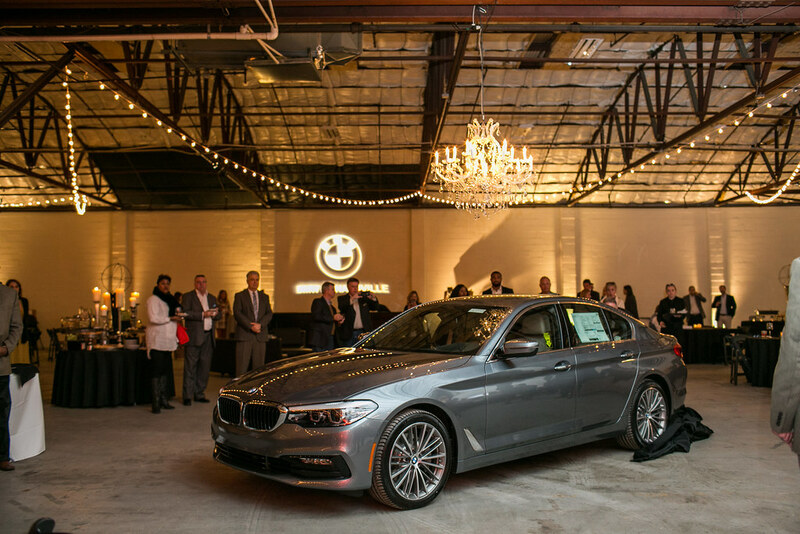 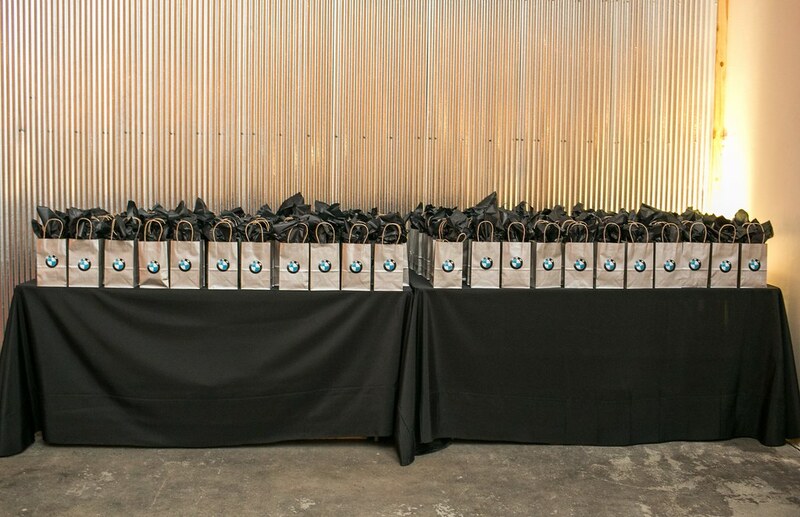 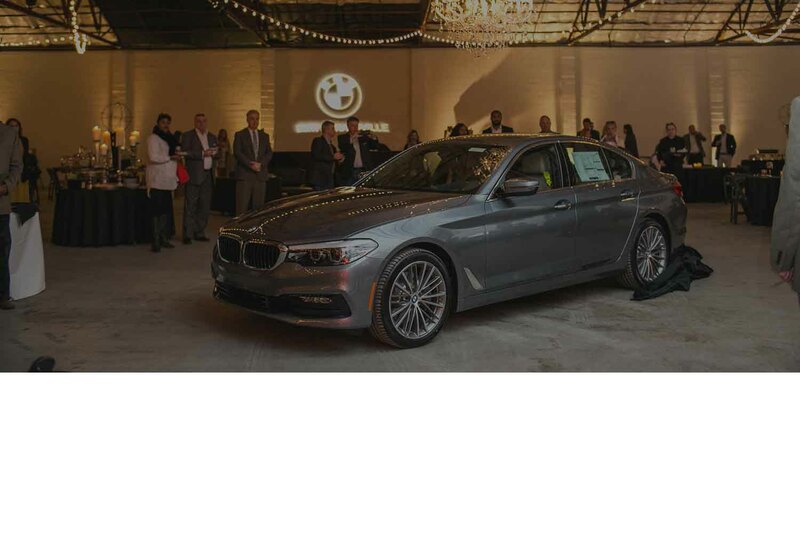 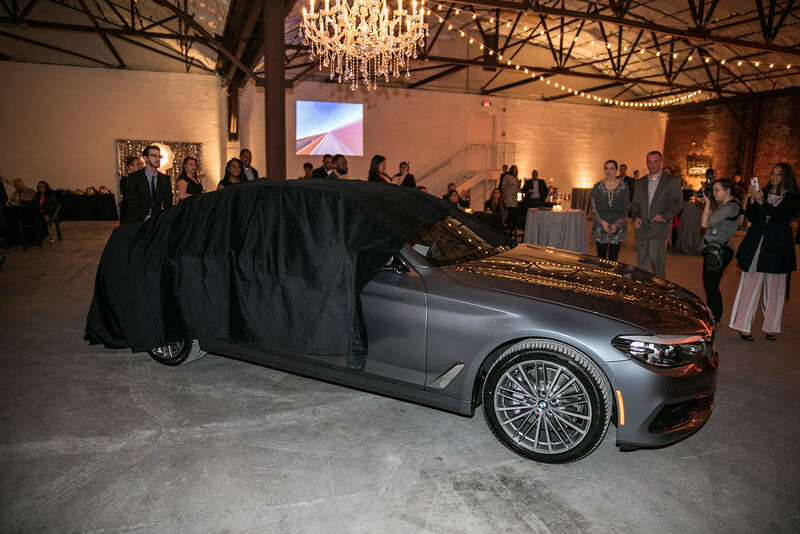 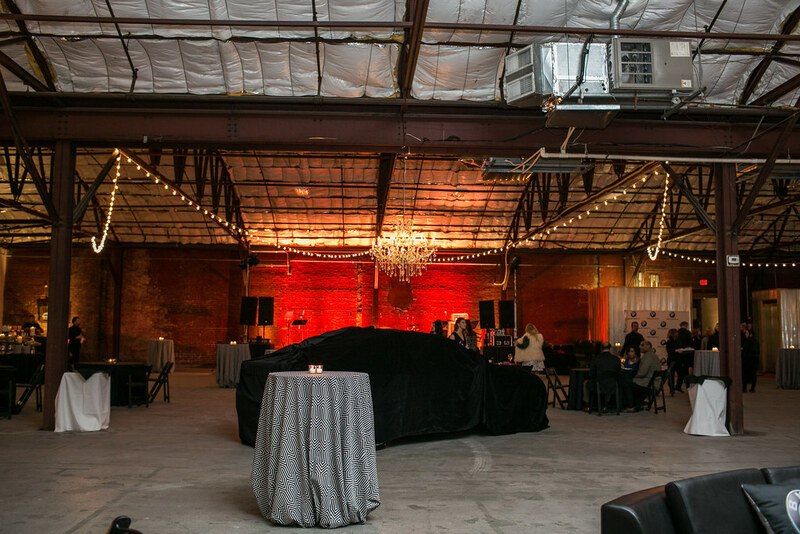 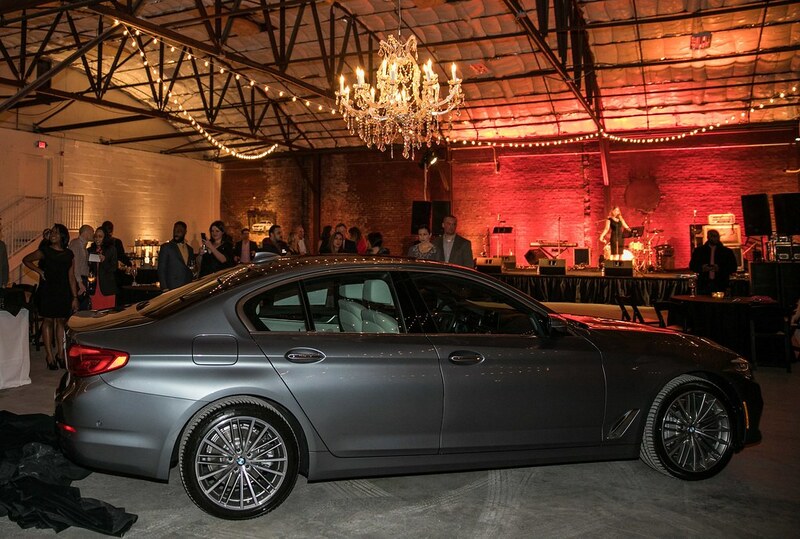 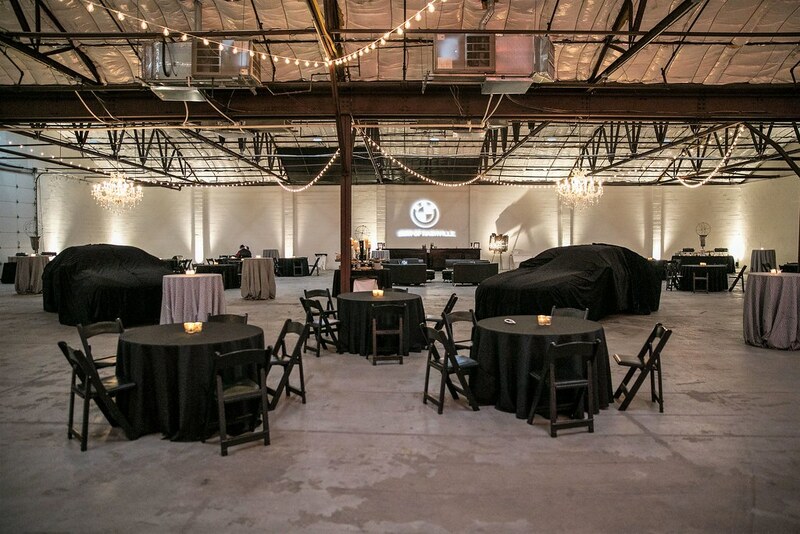 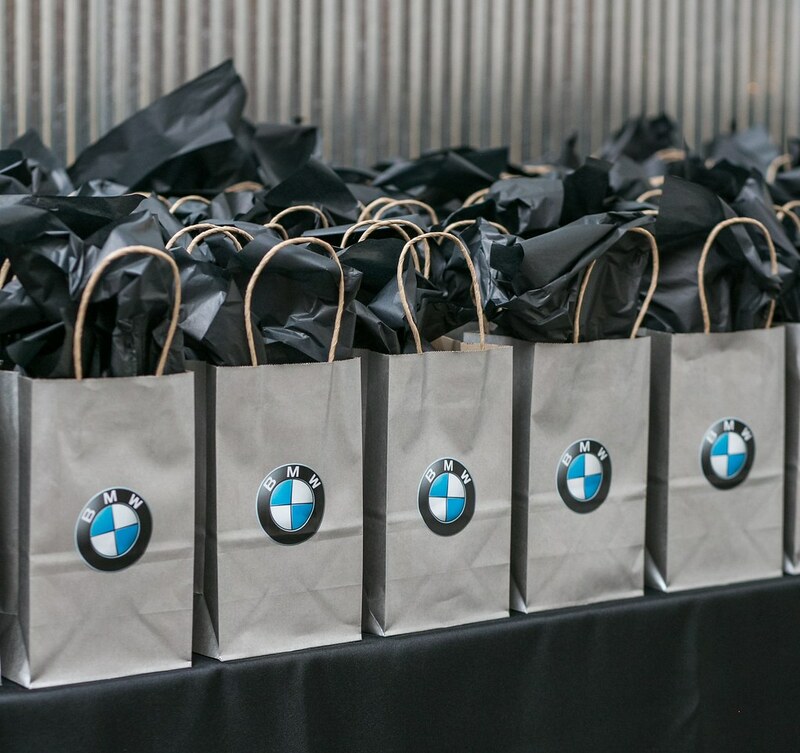 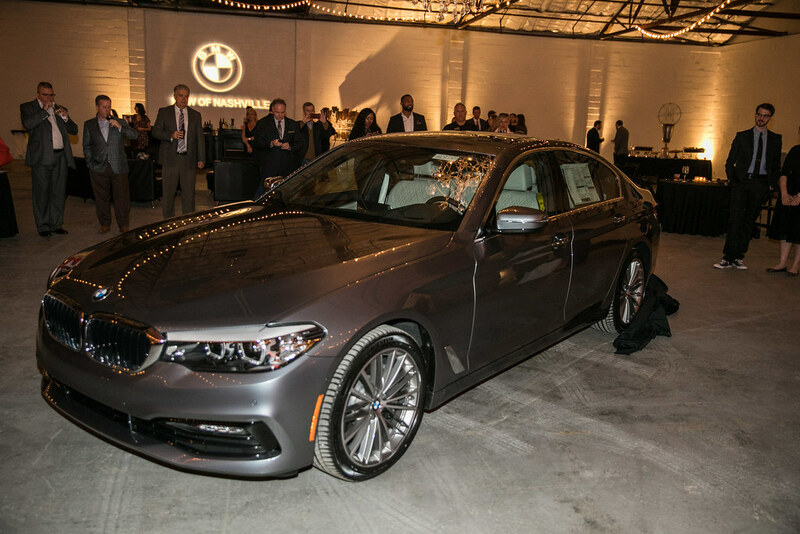 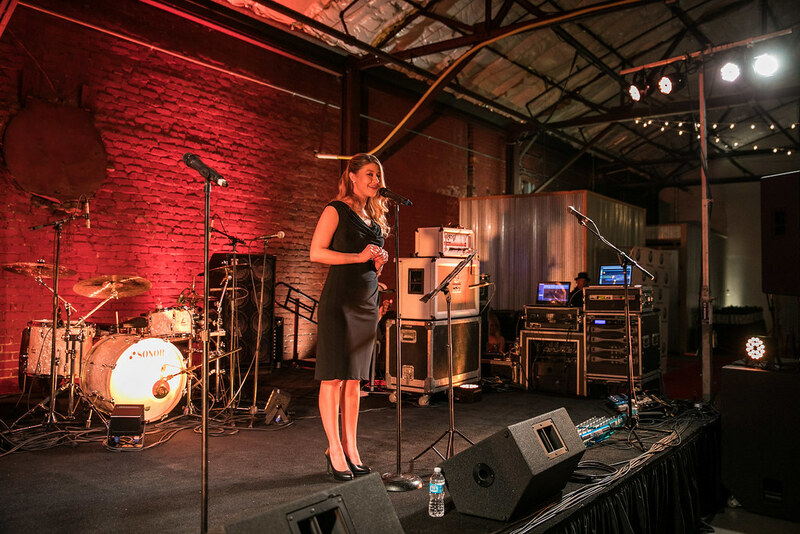 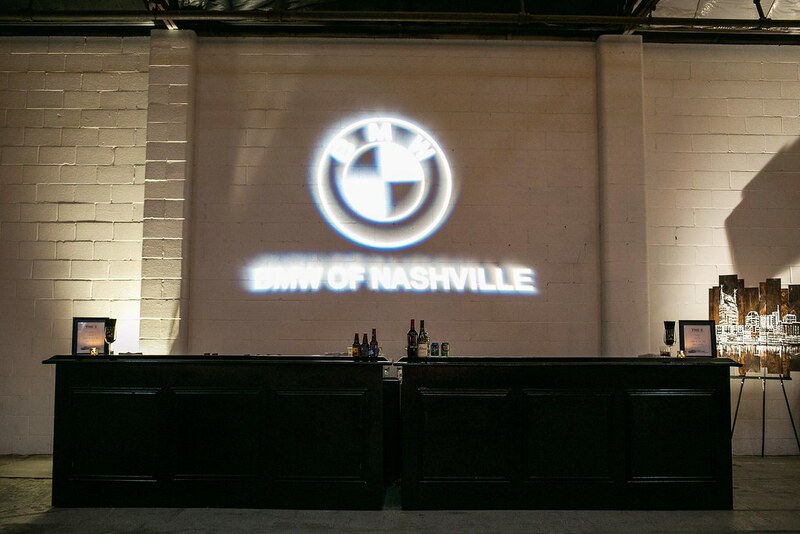 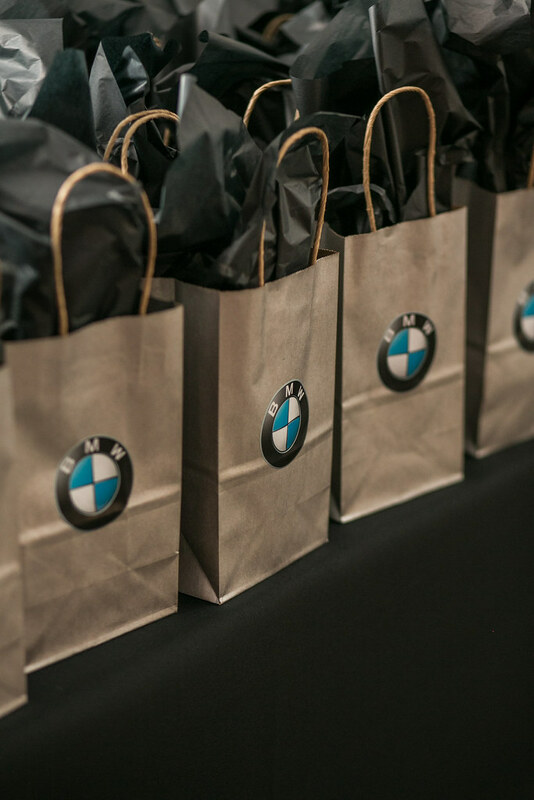 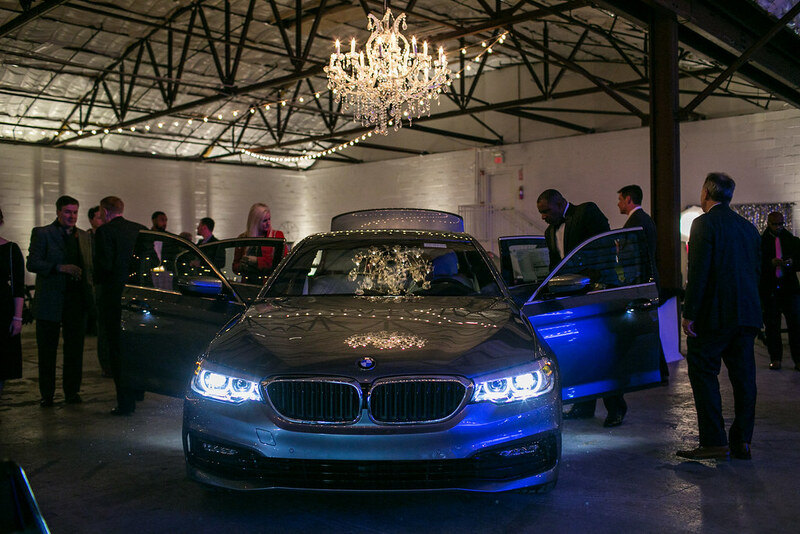 We were thrilled to be asked by BMW of Nashville to throw a party for the unveiling of the new 5 Series. 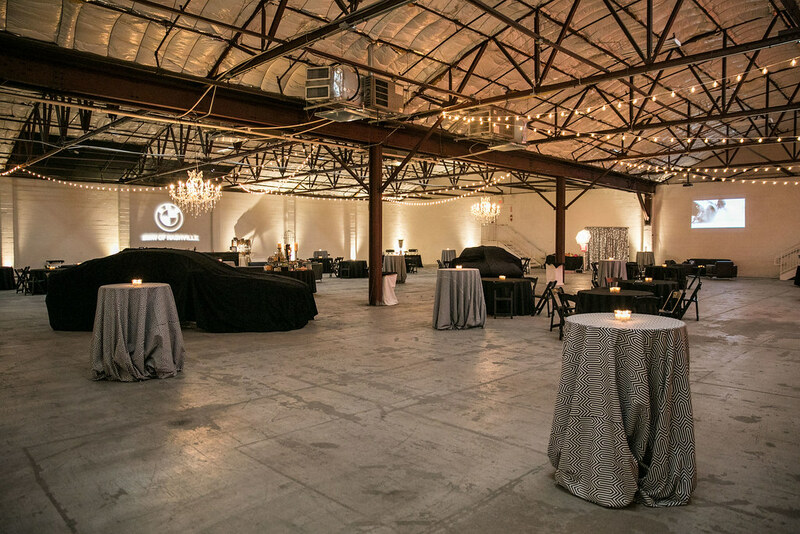 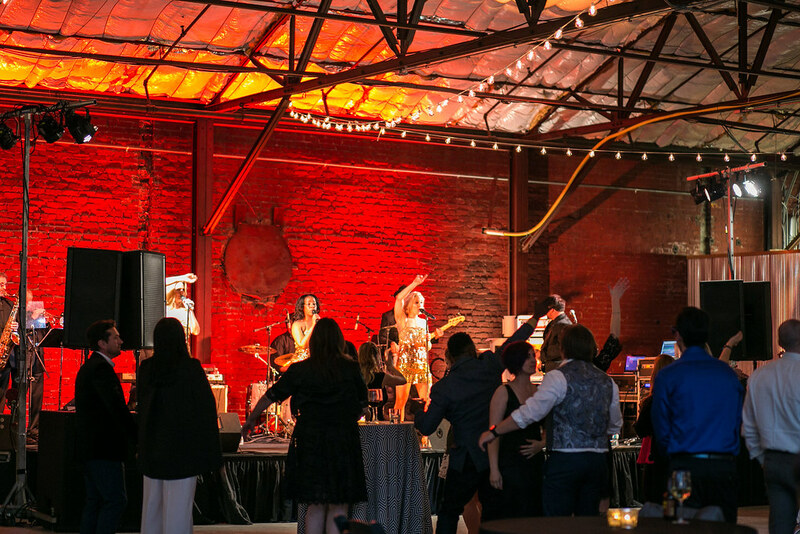 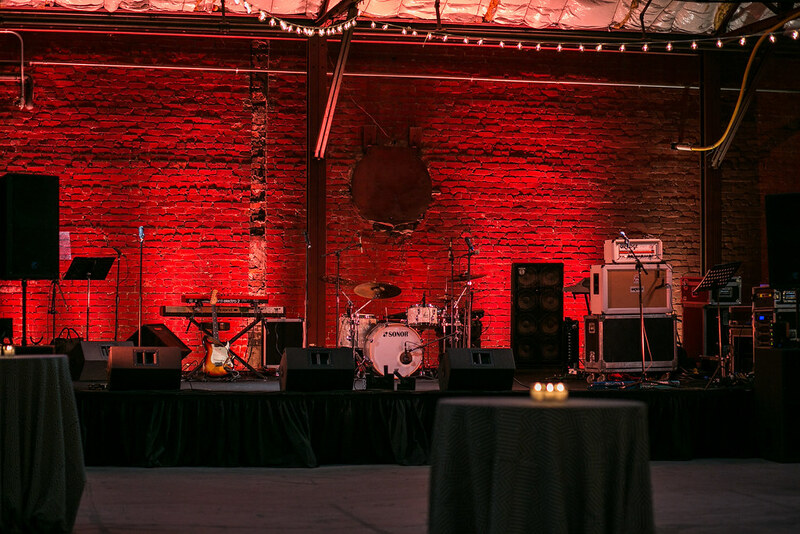 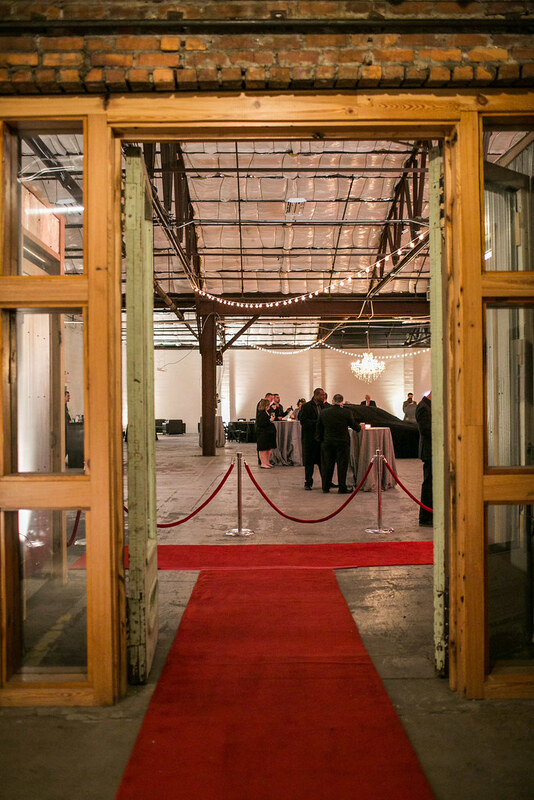 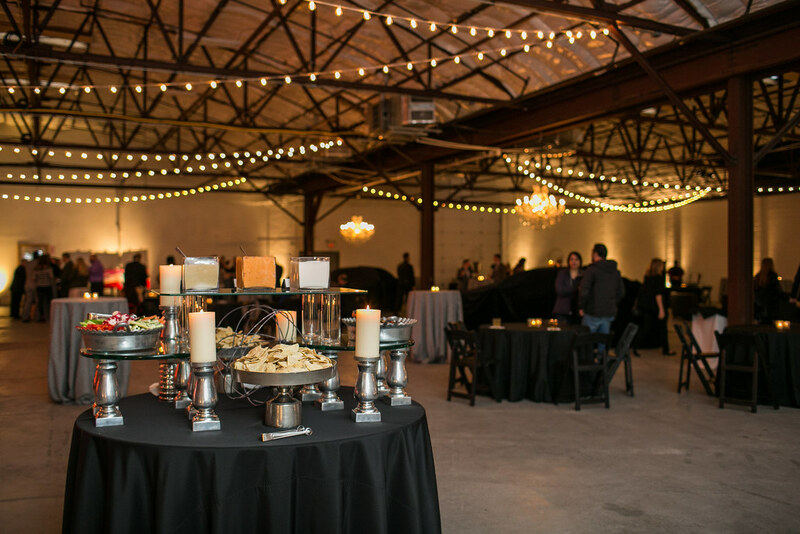 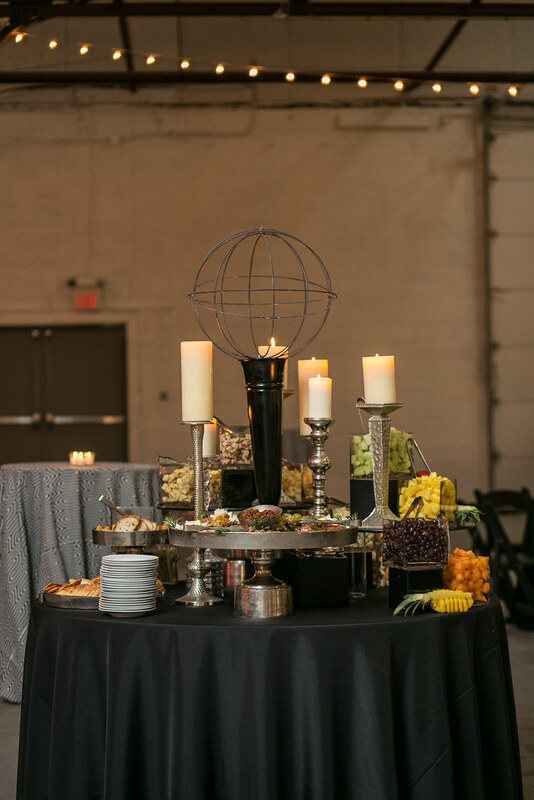 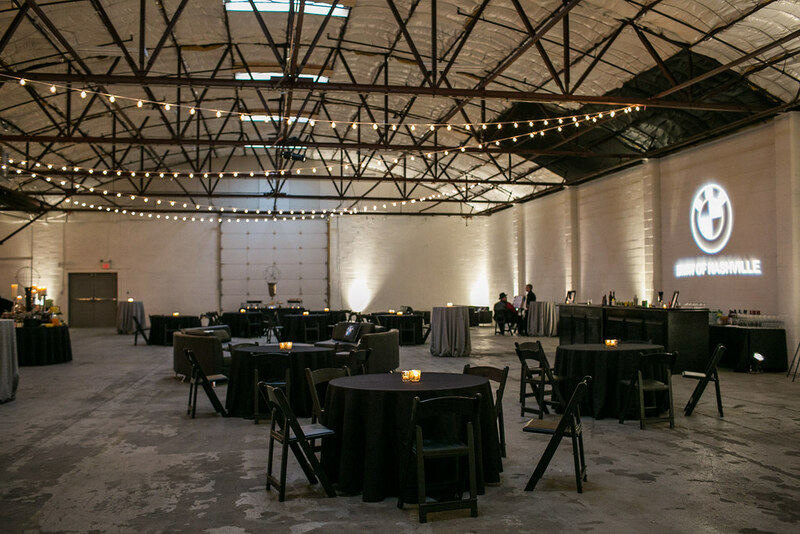 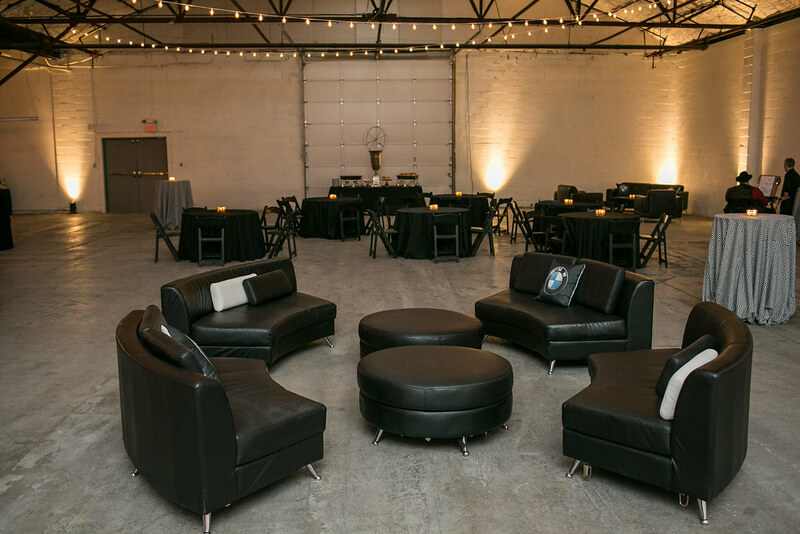 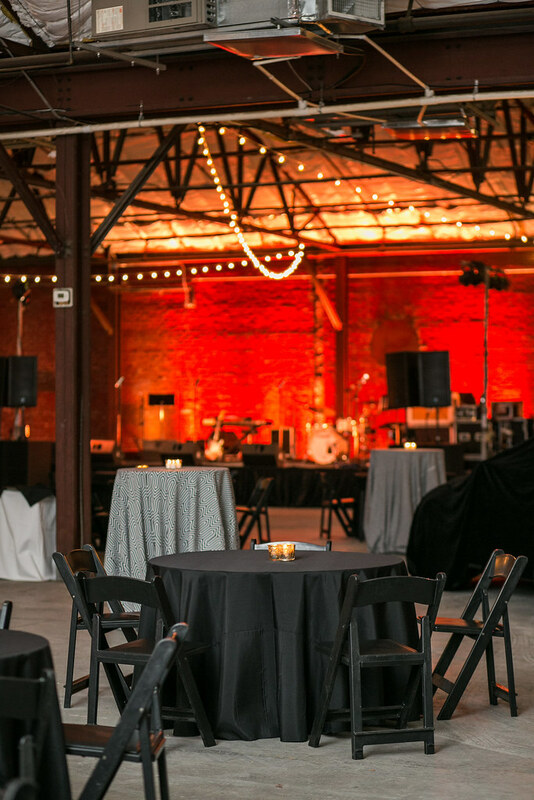 Track One was the perfect place for this event, both for the modern industrial feel and for the space. 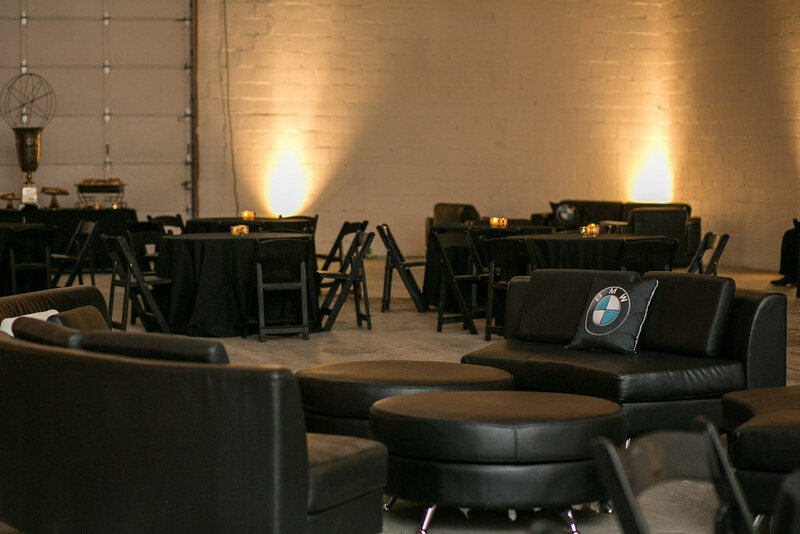 The large venue provided plenty of room for BMW employees, friends and guests to mix and mingle in and around two covered cars in the middle of the floor. 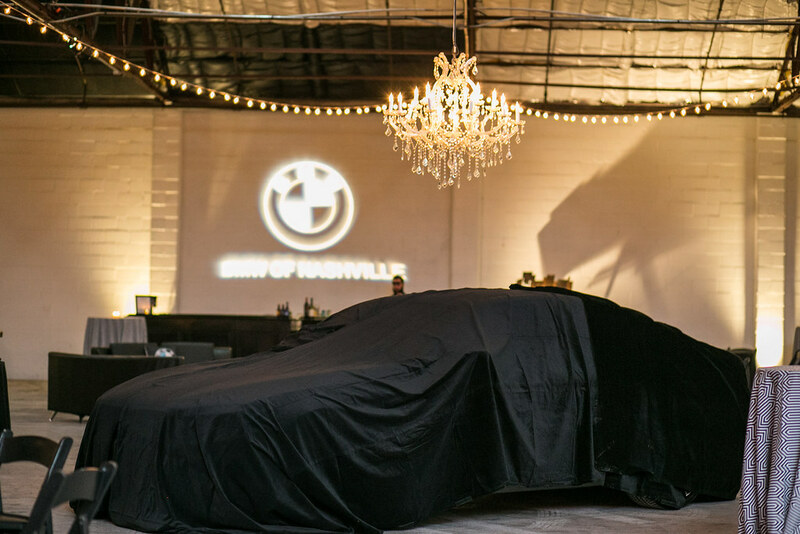 When the official unveiling happened part way through the evening, everybody ooh’d and aah’d over the gorgeous vehicles. 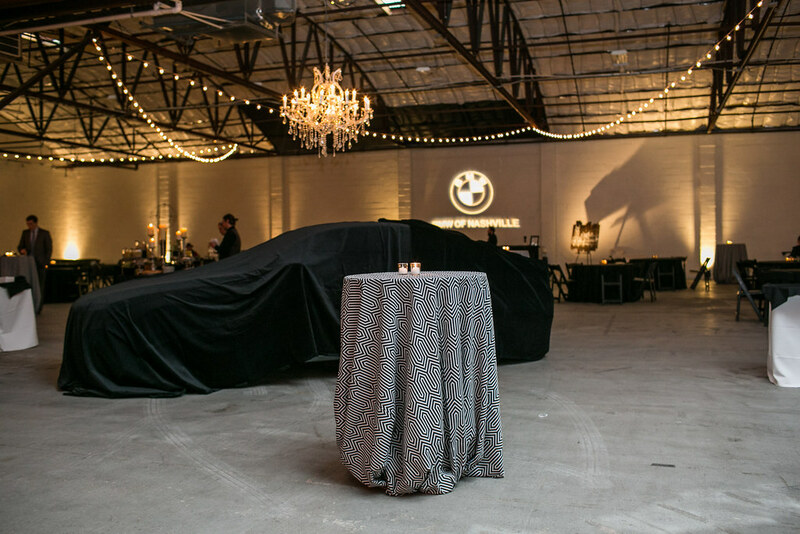 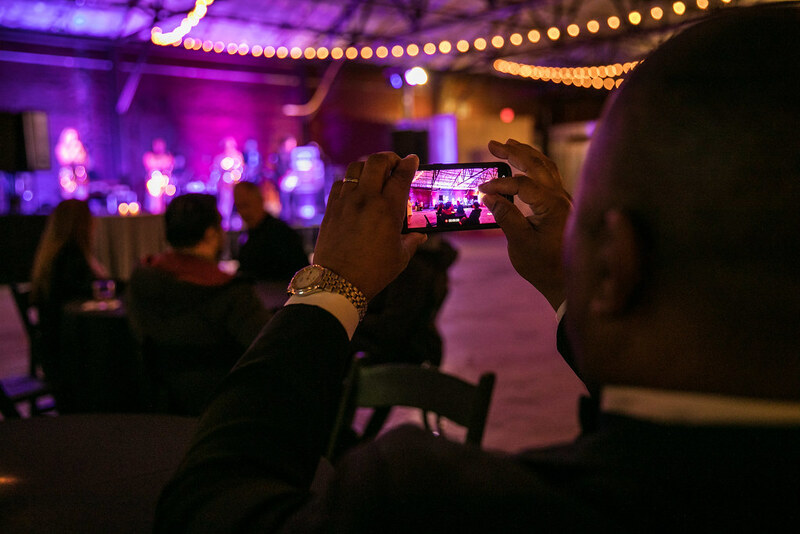 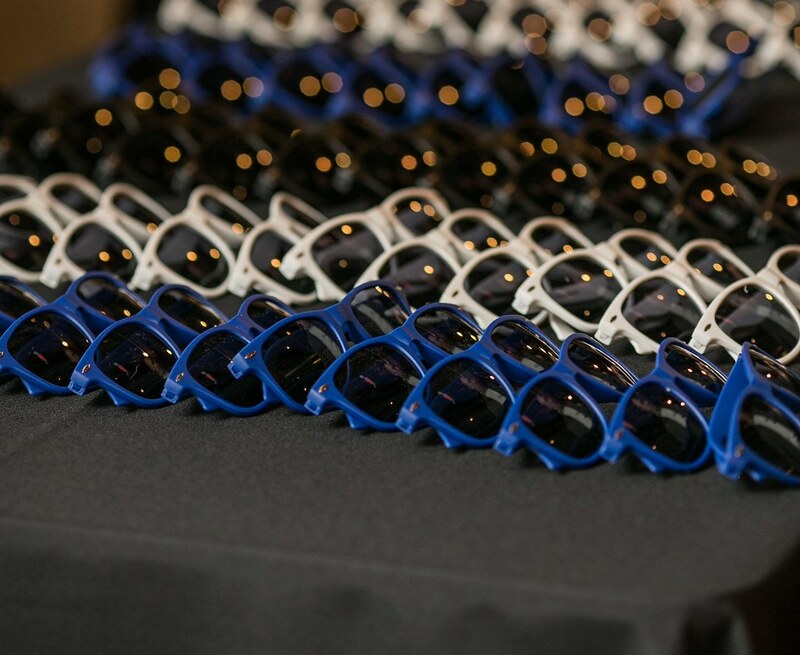 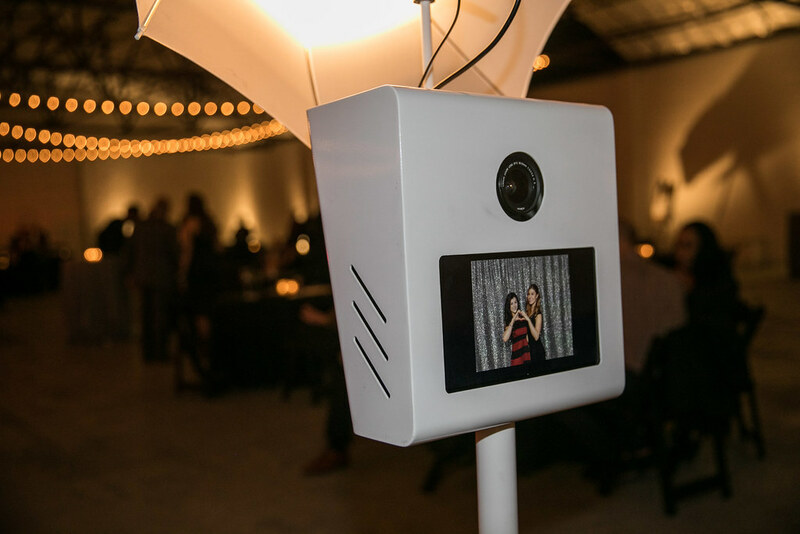 One of our main goals for this event was to make the night an interactive experience, and it definitely delivered. 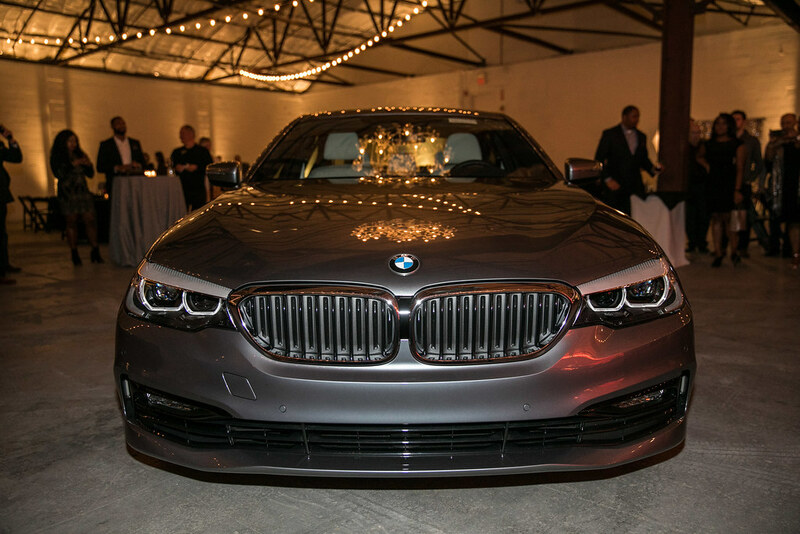 In addition to sitting in and playing with the cars, attendees enjoyed a photo booth, a caricature artist and the chance to feel like a star on the red carpet. 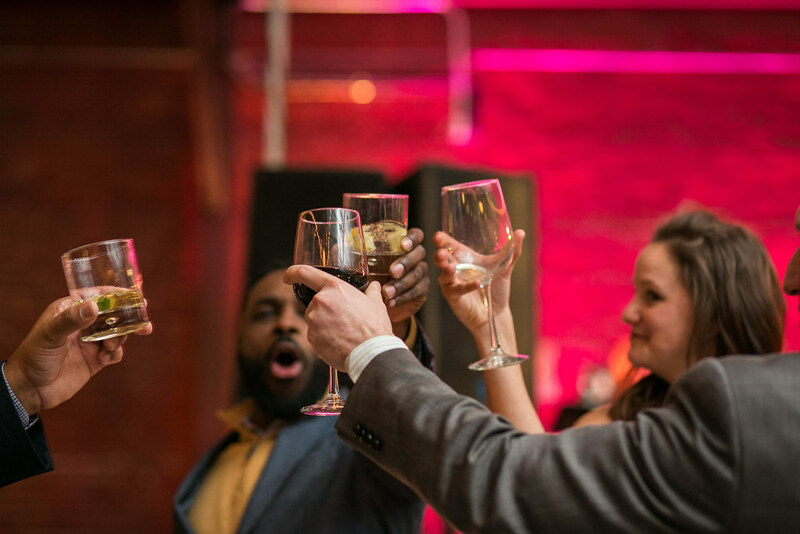 And of course, they wined and dined! 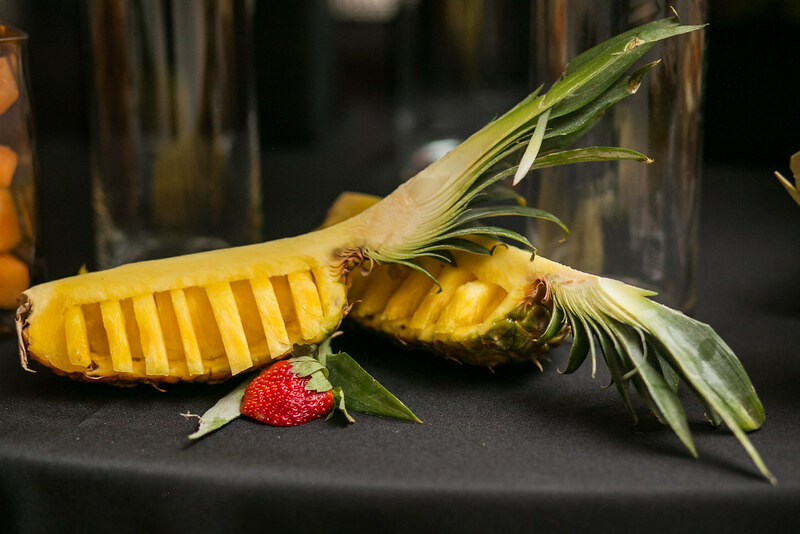 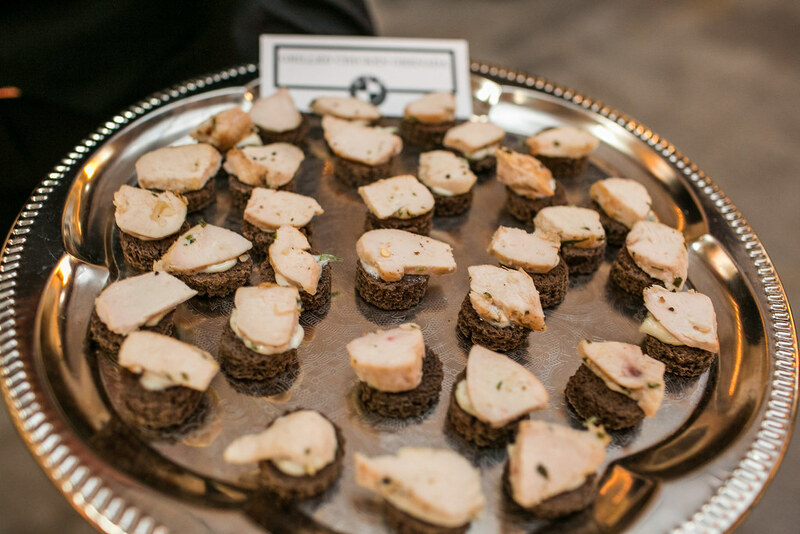 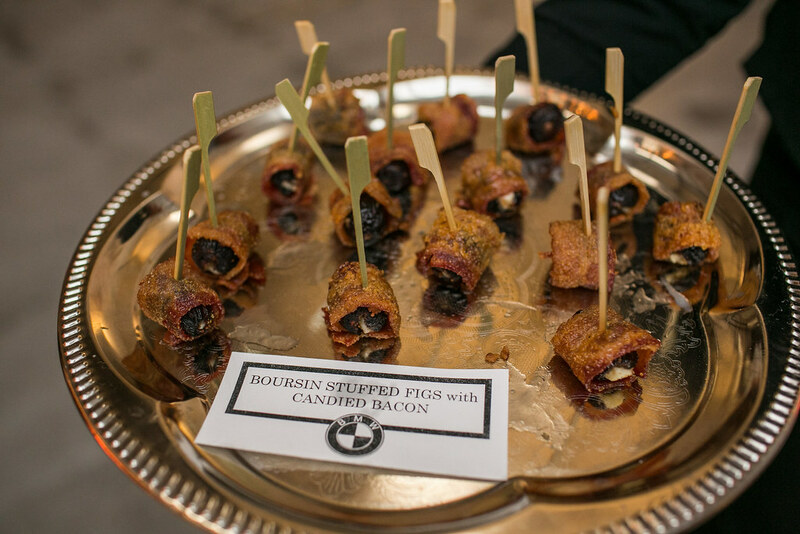 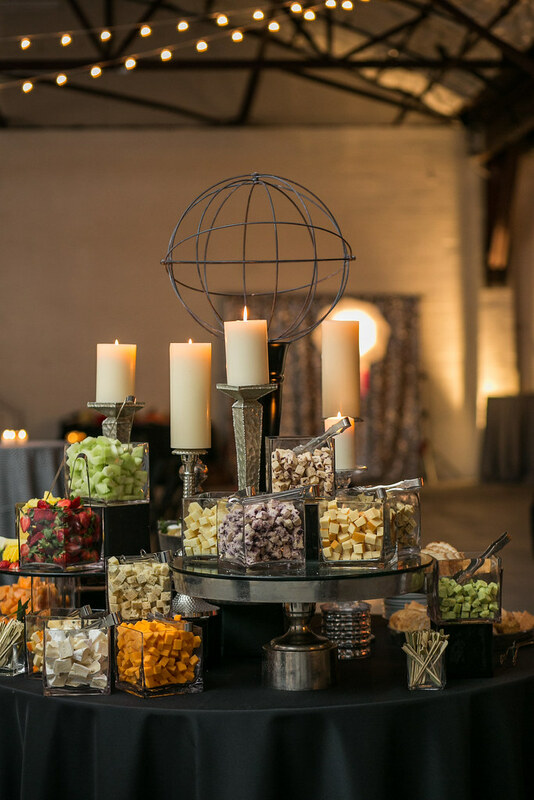 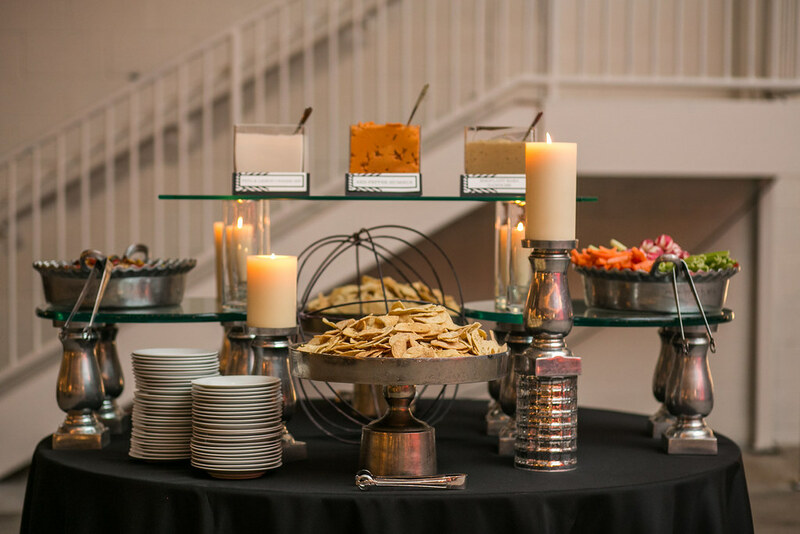 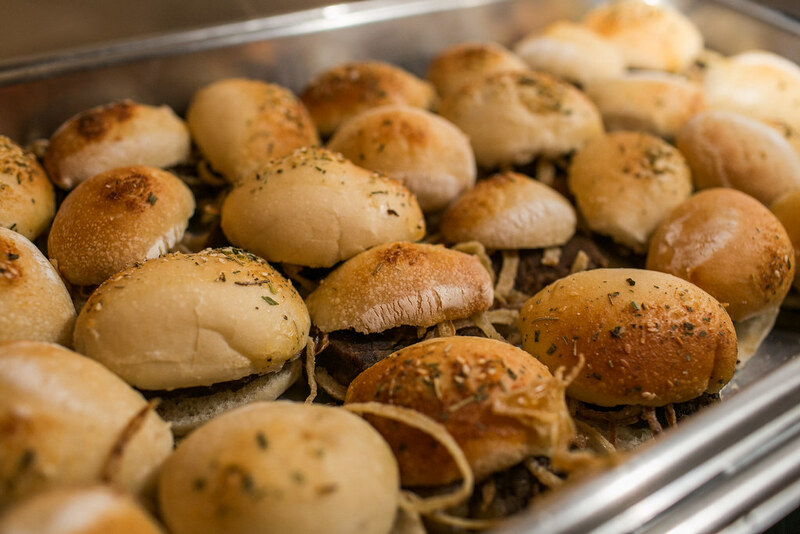 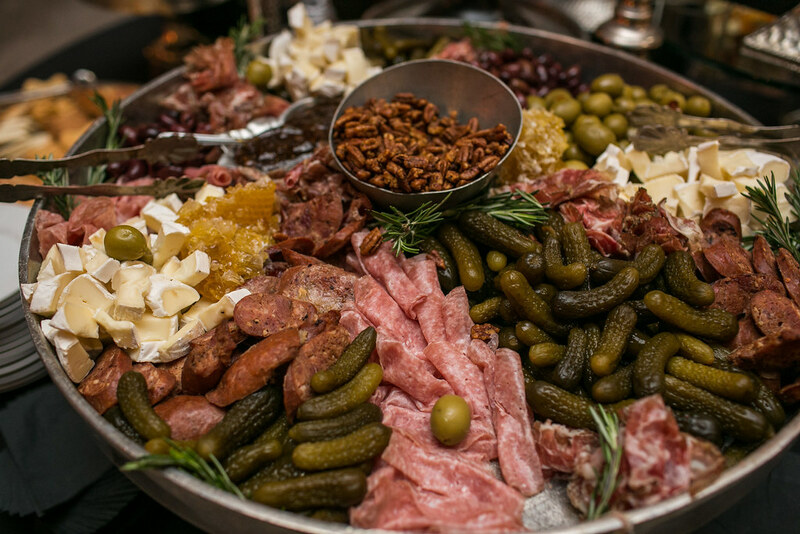 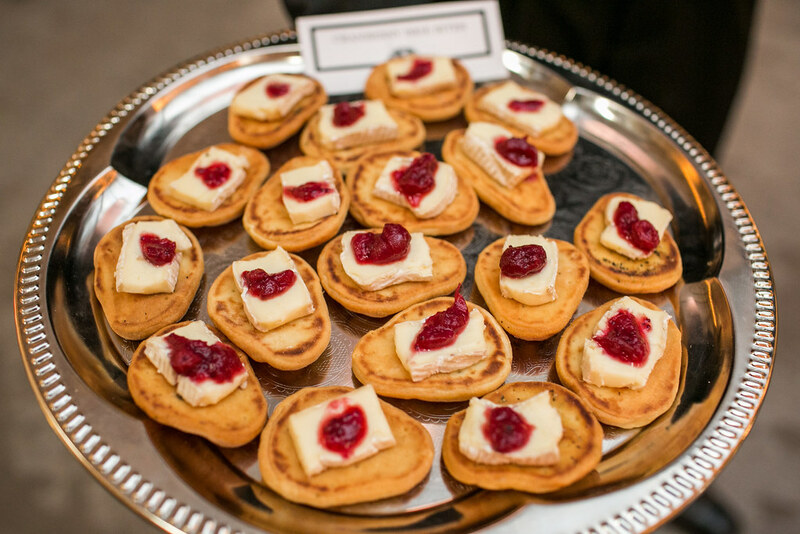 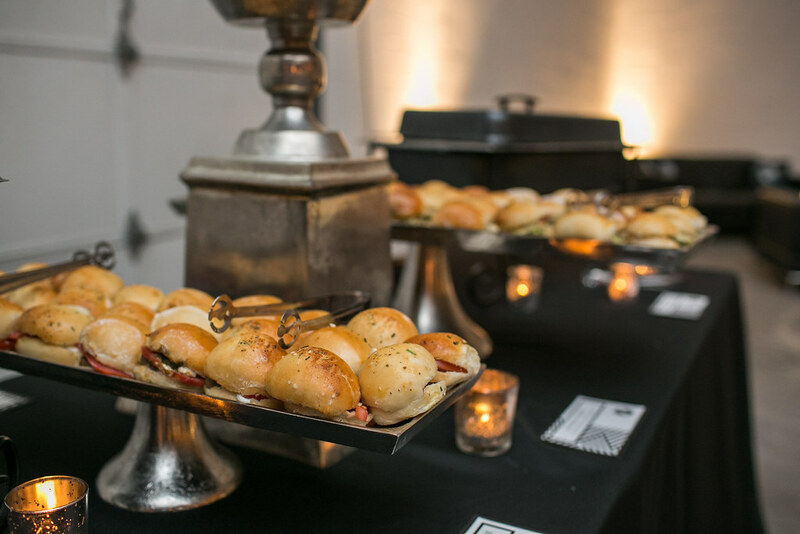 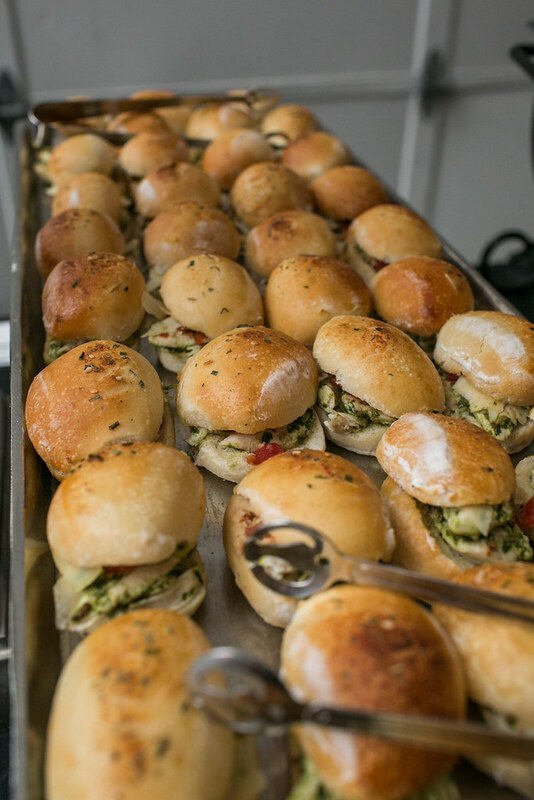 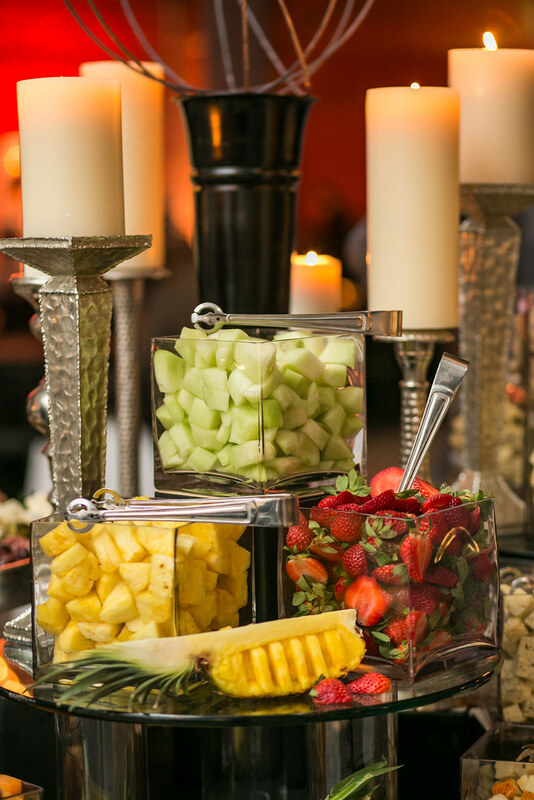 The impressive food display included upscale fruit and caricature, sliders and a variety of mouthwatering passed appetizers. 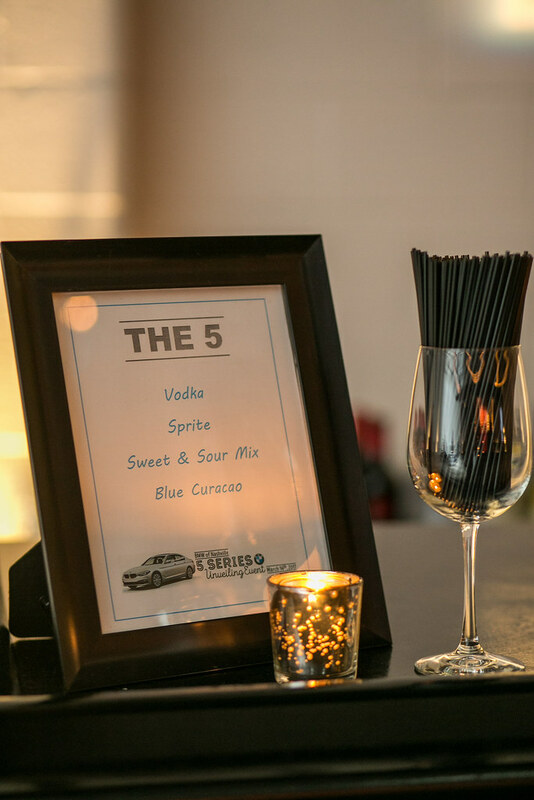 The full bar also included a specialty drink called “The 5” named after the car and colored blue to fit the color scheme. 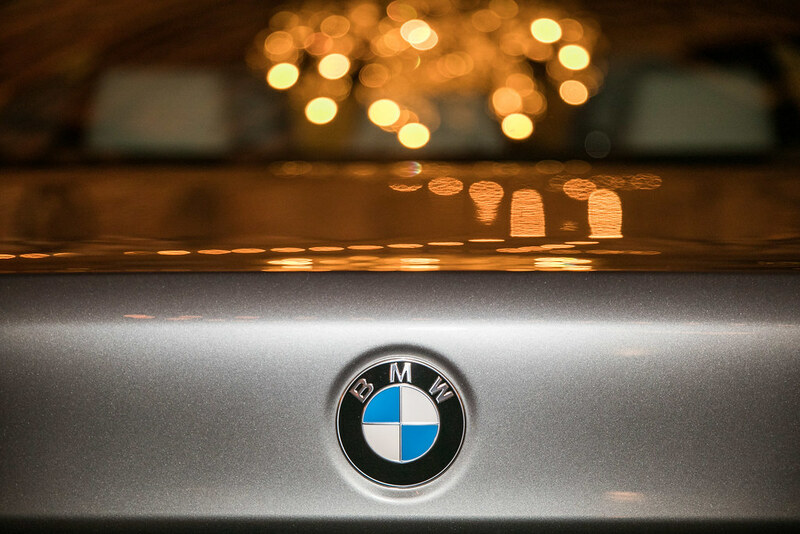 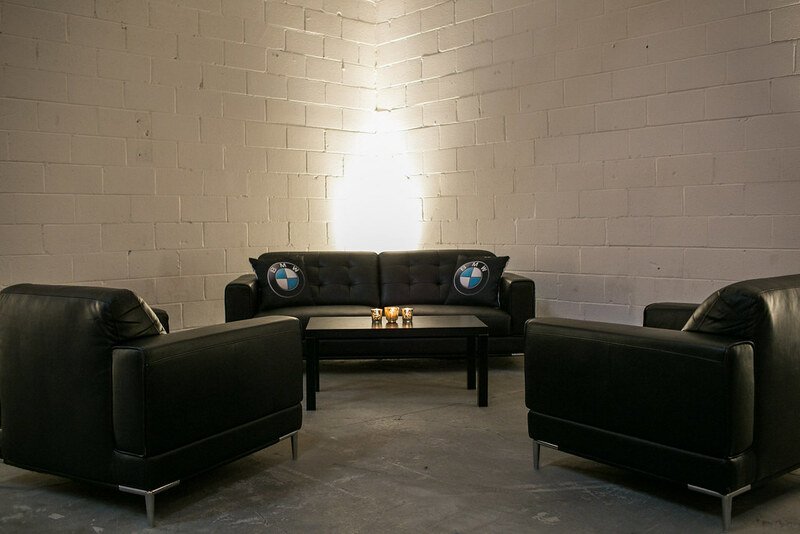 The BMW logo colors, black, white, silver and blue were present throughout the room, in the linen, the furniture, and the many custom features. 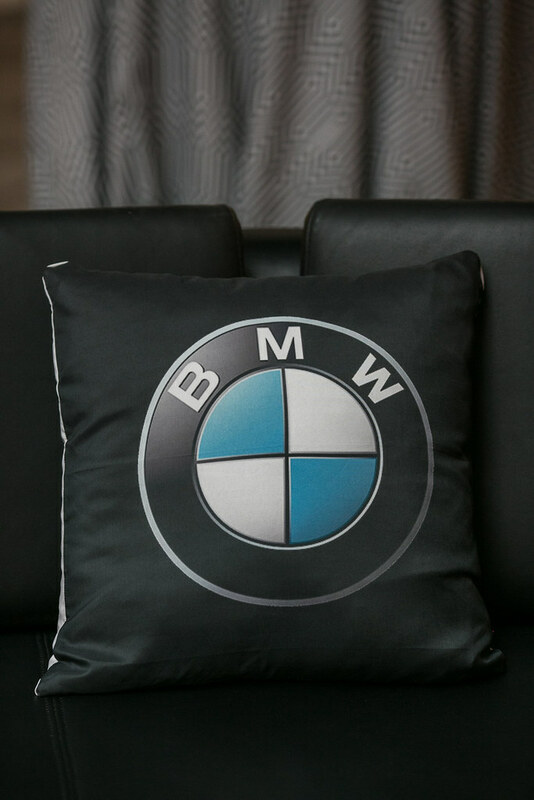 The custom gobos, sunglasses, goodie bags, snapchat filter and pillows on the soft seating furniture all contained the BMW logo! 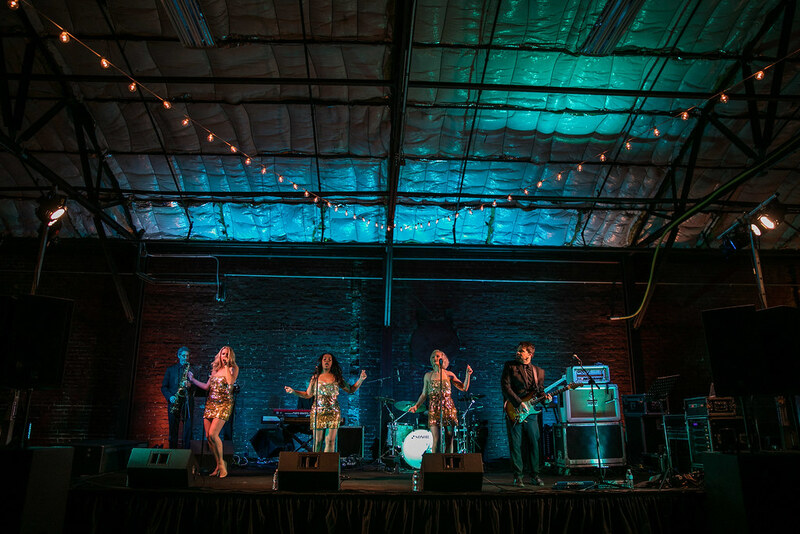 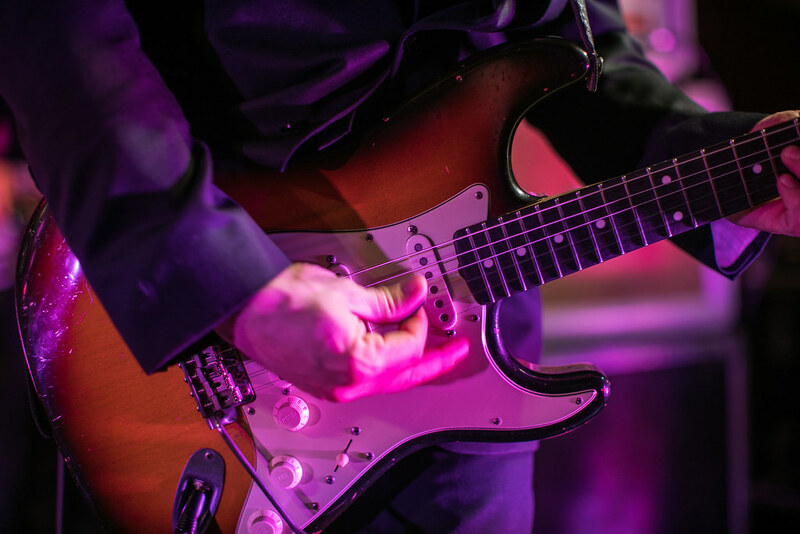 The band, Burning Las Vegas, kept the energy up all night, playing old and new hits for the dancing crowd. 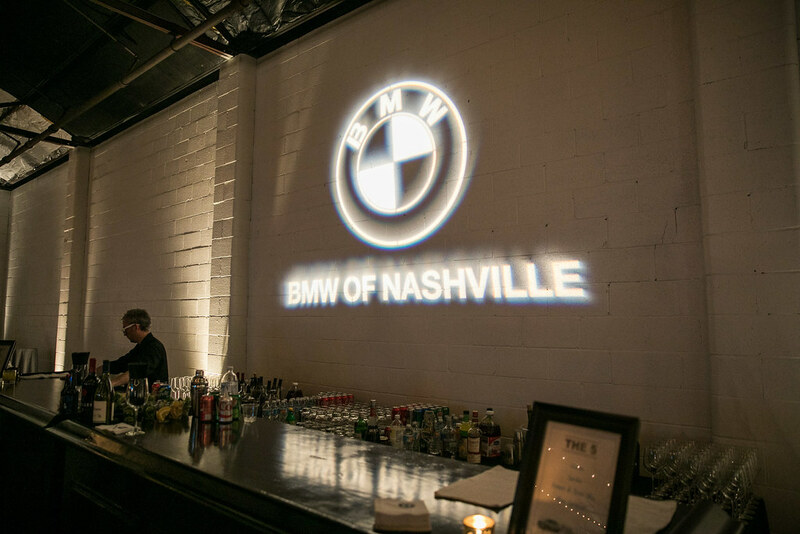 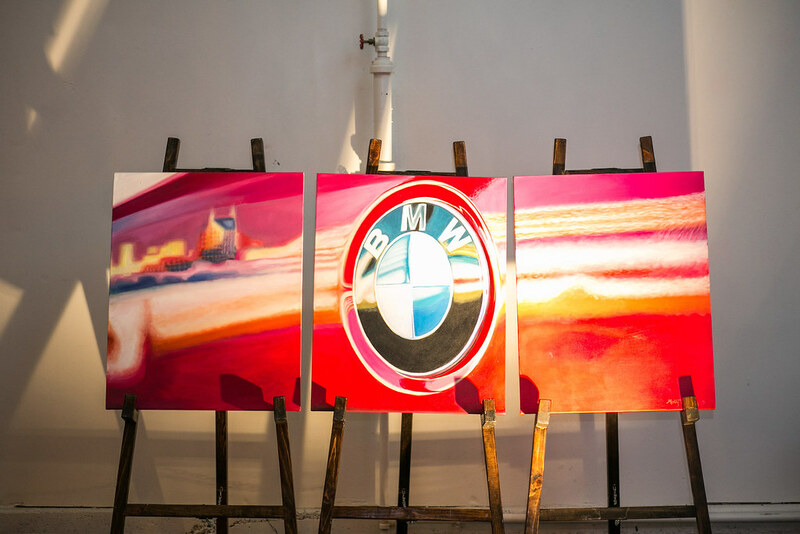 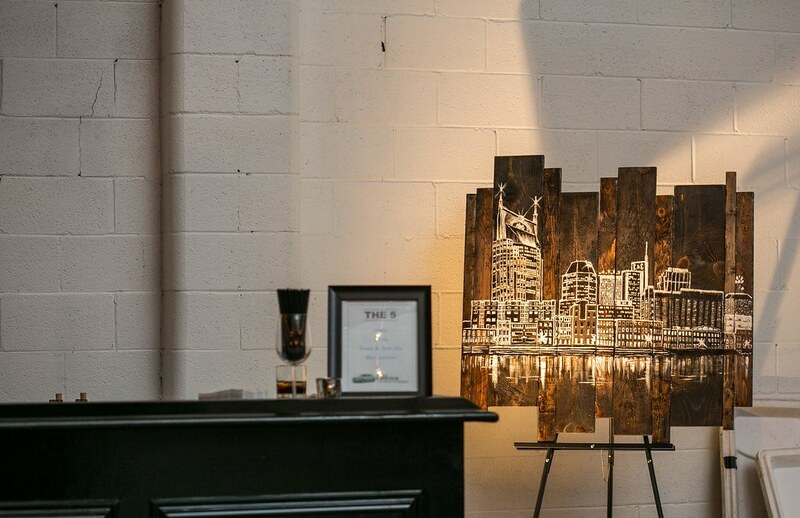 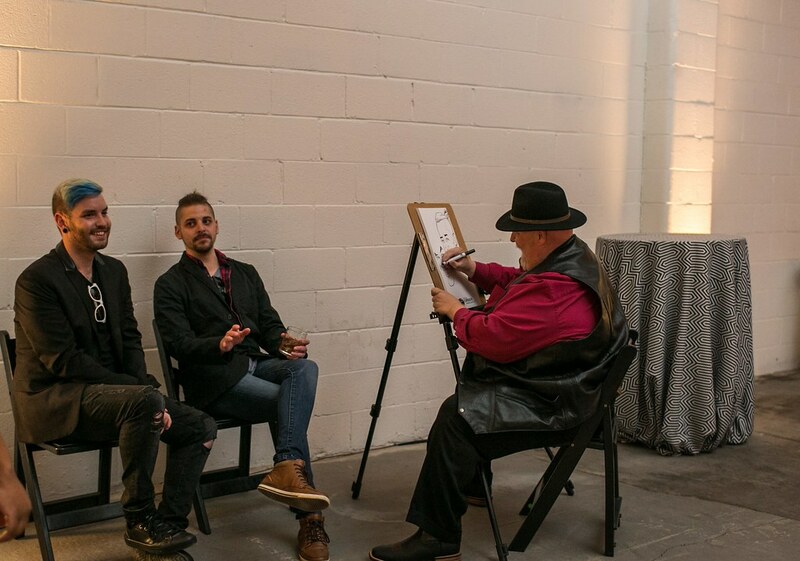 Door prizes were drawn towards the end of the evening, and three guests left with beautiful pieces of artwork featuring the Nashville feel mixed with the BMW brand. 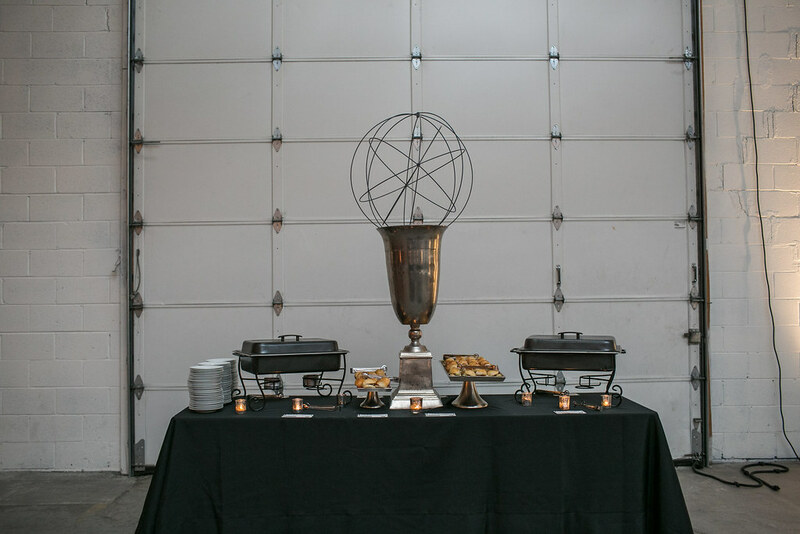 It was a fantastic night and we look forward to doing more with this client in the future!